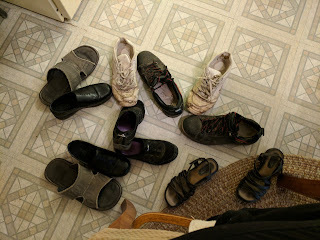 The toddler brought me all of these shoes. Every. Single. Shoe. He. Could. Find.